Quality shop abrasive blasting and coating services to suit your commercial and industrial needs. Offering shop fitting and welding services, Kern Steel’s workforce of AWS certified welders can breathe new life into your refurbishment projects. Performing weld repairs in our shop saves you time and money by stream-lining your coatings projects. Our fabrication facility is state of the art. 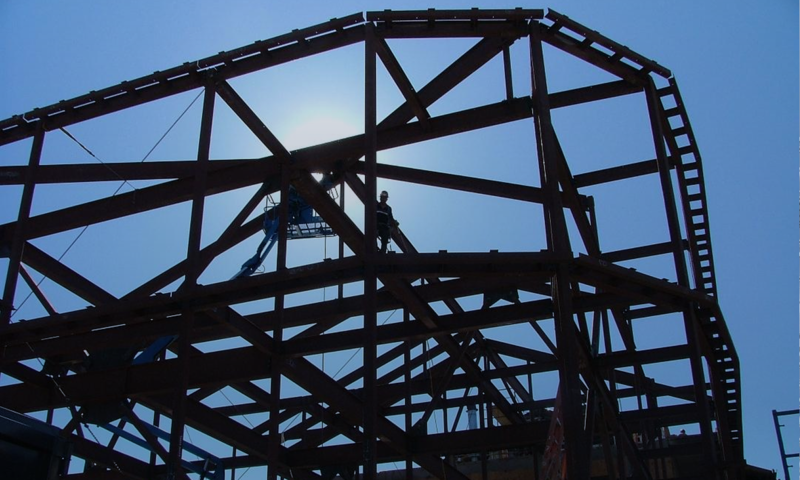 Kern Steel can fabricate your industrial and commercial structures from the ground up. Our AISC Complex Protective Coating Systems Certification (SSPC QP-3 Equivalent) documents our ability to provide quality work. Every step of the coating process is documented using state of the art inspection equipment with automatic data logging—including environmental conditions, surface profiles, dry film thicknesses, and inspection results. Photographic documentation can be provided of surface preparation, stripe coats, etc. upon request.